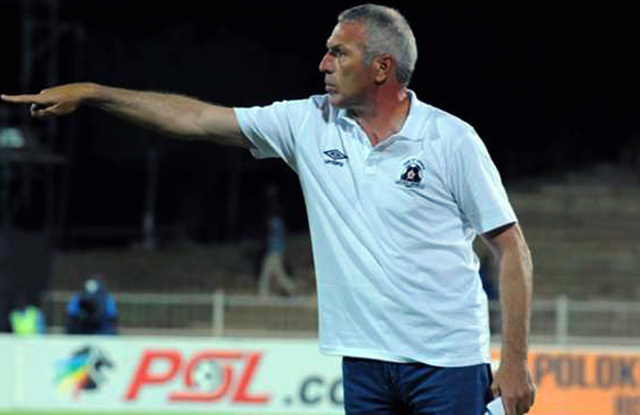 Maritzburg United coach Ernst Middendorp is happy with the way pre-season preparations have provided the platform for a positive start to the season. Middendorp joined the Team of Choice for a third spell as head coach at the start of 2016 and did superbly to help the club escape relegation, on the very final day of the season. He has subsequently been able to spend a fruitful pre-season period with the squad, which has given the German time to bring in some exciting new signings while making sure the team has been able to hit the ground running in the league; a 1-0 win away at Bloemfontein Celtic just the start that he was looking for. “It was very important to have settled preparations and we had it sorted from the beginning‚” he said after the win at the Molemela Stadium. “Only Dennis Wiedlich came three or four days later after he put all his paper work in place. It is crucial that everybody was there from the beginning. It helps the players to work better together and to get an understanding of each other‚ of the formations and the tactical ideas. "I wanted that and there was a lot of work after the end of the last season. We pushed to get all the signings in place as quickly as we could," he explained. "I think we were quite efficient and I must give my compliments to the team," Middendorp said of the Celtic encounter. “We started with five new players and you have to expect that things can obviously get better.